There are 4 sachets of Ellips Hair Treatment With Jojoba Oil in each box and the price is reasonable especially when it’s on discount at the drugstores. Formulated with Jojoba Oil, Vitamin A, C, E & Pro Vit. 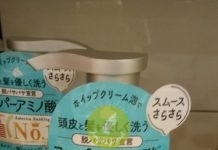 B5, these vitamins for hair help treat damaged caused by chemical treatment, curling or straightening. 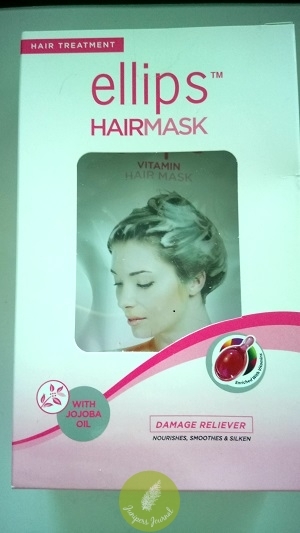 This is the kind of hair treatment my damaged hair needs. Ellips Hair Treatment With Jojoba Oil has a creamy texture with a pleasant fruity scent. I leave it on for 1-2 minutes and after rinsing, my hair feels soft. Much better results than if I use a conditioner. 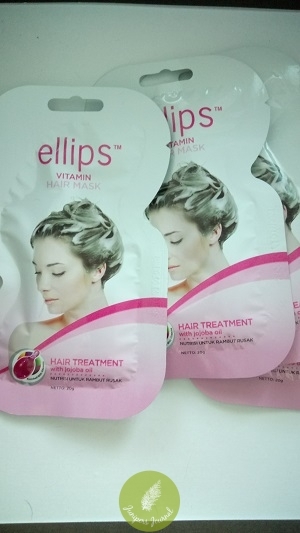 Ellips is one of those drugstore haircare brands which I have always felt was reasonably priced compared to similar brands.